My Christmas was absolutely fantastic this year, I spent it with everyone I love and I got well and truly spoiled, in every sense of the word! The only thing I did get sad about was the fact I had to split Christmas day with Leon's dad, I would have LOVED to have had him all day, but I know that's not how it works. 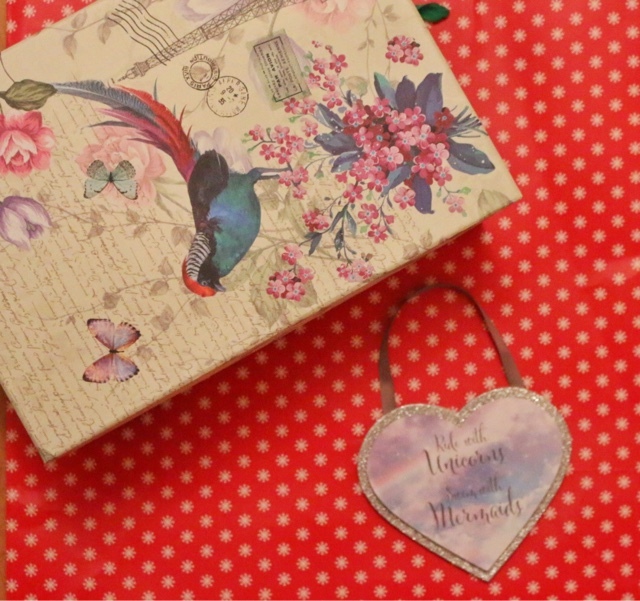 Today I thought that I would make a post on some of the things I got for Christmas, So far I am LOVING reading other bloggers posts! I am always a sucker for haul posts or birthday pots etc... I love to see people presents and read about their excitement because you can feel it in their words. I think human nature draws us to reading/watching people's hauls etc... And that's ok, majority of people I know do it and it's perfectly normal. I love reading these sort of posts when I have just been paid because then I can get some reviews and make a judgment call on what I want to treat myself to. 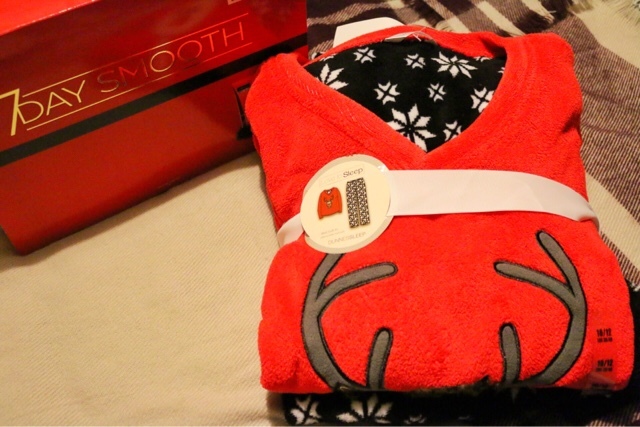 Helen and Stephen got me some lovely reindeer pjs and the 7DaySmooth TRESemmé set. I absolutely love TRESemmé products, I have used them for years and now I can try out this full set and see how well my hair does with it. 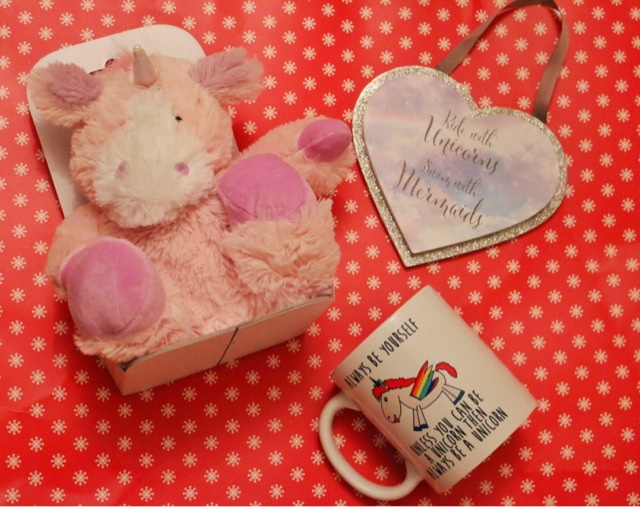 Form my friend Lisa M I got this beautiful Unicorn mug, Unicorn plaque, unicorn socks & a unicorn microwave teddy. She also got me some other stuff but look at all the unicorns!!!! My other friend Lisa C got me the same unicorn plaque (my girls know me well) and pjs + a box filled with goodies! This is some of the stuff I got from my Gran. 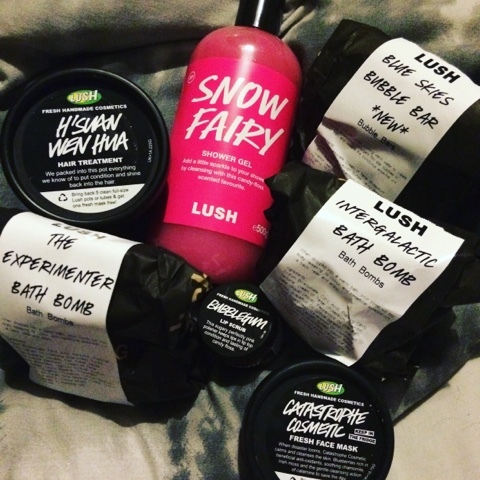 She bought me loads of soap & glory stuff (she knows I love it all) So now I am pretty much stocked up on it all which I love! I got their spray gift set, their cracker gift set & a huge box full gift set. It's all filled with products I love to use. 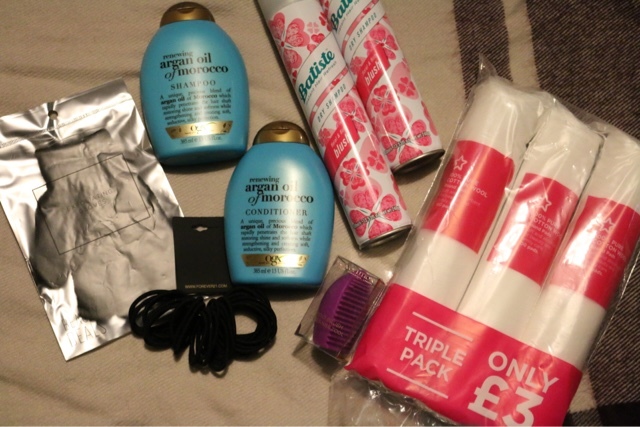 She also got me some dry shampoo plus shampoo & conditioner (are people trying to tell me something?!) I also got an iPad case + a journal that says "Make it Happen" on it, my gran explained why she got me this journal when I opened it and I almost broke down in tears, she's so thoughtful. She also got me that unicorn make up bag I had been lusting after from SkinnydipLondon, I'm too lucky. I also got the medium jar of candy corn by Yankee candle. Although this is part of the Halloween range it's my favourite of all! And my gran managed to get me it. I LOVE IT! 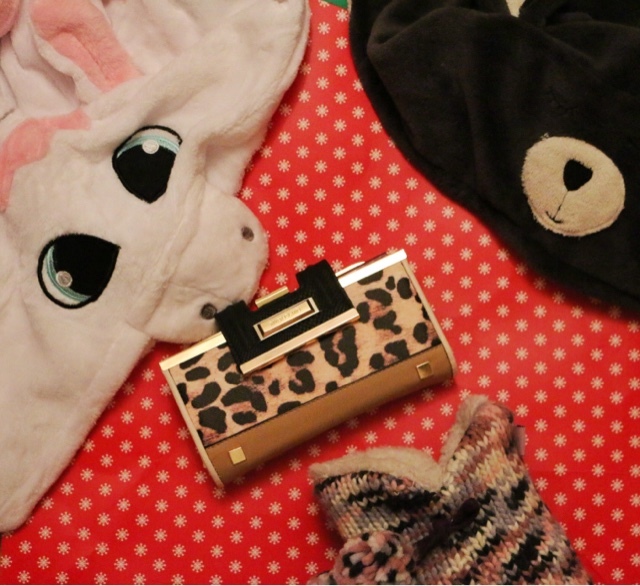 My gran also managed to get me a unicorn onsie, new robe, slippers, a new purse and gave me money. So that's some of the things I got for Christmas, What did you get? What was your faviourite present out of them all? 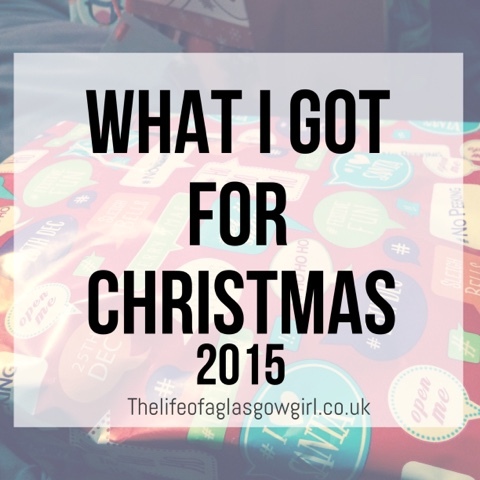 All these presents are absolutely awesome and I need all of that! Haha. Especially that onesie! Like omg. Is it as cozy as I imagine it to be? Do you happen to know where it's from? And obviously, you'll never have to buy hair products again haha. I wouldn't mind getting those if people know what you like to use then that's just awesome and saving you money! It looks like you got some lovely presents there. Hope you had a wonderful Christmas.